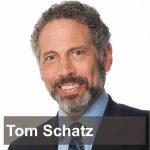 Mr. Schatz is a nationally-recognized spokesperson on government waste and has been interviewed on hundreds of radio talk shows from coast to coast. He is a regularly featured guest on national television news programs and local news broadcasts. His appearances include ABC’s “Good Morning America,” CBS’s “60 Minutes,” FOX News Channel’s “The O’Reilly Factor,” NBC’s “Nightly News,” and PBS’s “The News Hour.” He was a regularly featured guest on the “Pork Watch” segment of CNBC’s “Squawk Box.” His editorials on fiscal policy have appeared in publications nationwide, including The New York Times and The Wall Street Journal.